After months of speculation, the Washington Post has announced changes that executive editor Marty Baron describes as new owner Jeff Bezos’s “first mark on the paper.” Unsurprisingly, the website is getting a redesign and hiring more bloggers, but there are plenty of less techy tweaks as well. An e-mail to staffers on Wednesday outlined plans to create a breaking-news desk, expand the Sunday magazine, and introduce a Sunday Style & Arts section. 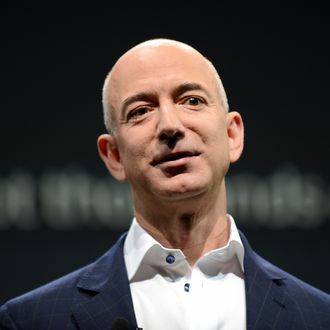 In an interview with the New York Times, Baron said Bezos has been “heavily engaged” in the process, and would “just challenge our assumptions, cause us to rethink things.” Baron added that the plan represents “a substantial expansion of the budget,” so now we know what Bezos is doing with the eight-figure sum he wouldn’t give to Ezra Klein.